Hello! 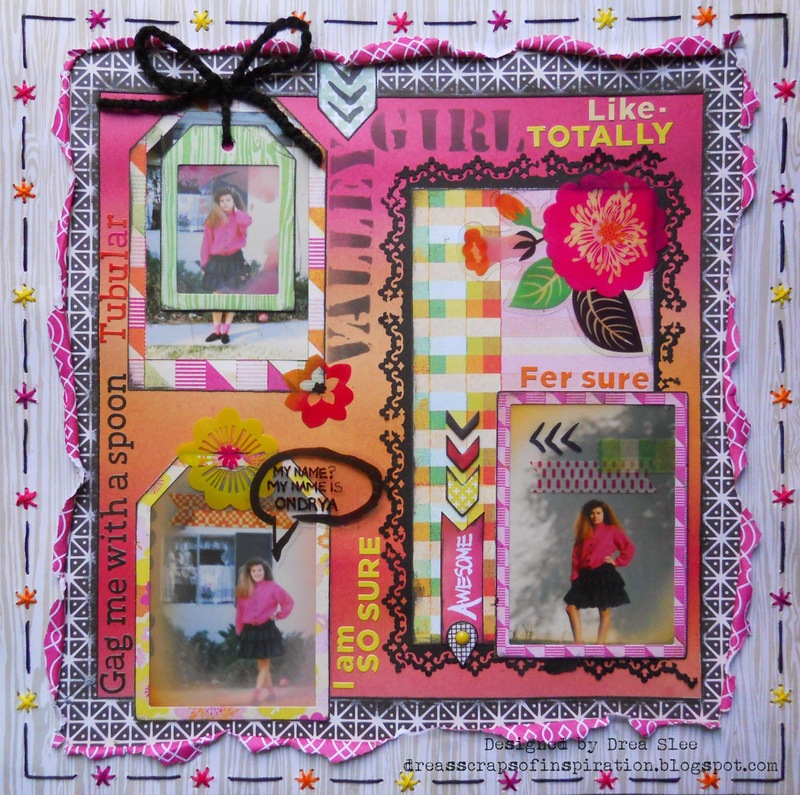 Drea here with another layout using Basic Grey's Highline I Want It All Bundle from FotoBella. I decided to scrap these old photos of me at sixteen modeling a new outfit in front of my house. They were just the right size for the Frames With Acetate Overlays. The top tag has a photo backed on some paper I used from the 12 x 12 Collection Pack. I tied some black fiber though the punched hole, and added a flower at the bottom, from the Die Cuts and Transparencies, which I used though out this page. The title was masked with Black Soot Distress Ink and the Cargo Alphabet Stencil from Tim Holtz. I used all of the colors in the alpha sticker sheet, that comes in the 12 x 12 collection pack, to create some phrases from the Valley Girl song. The awesome tag comes in the Mixed Brads , and I anchored it with Printed Chipboard Shapes, which I also used for the arrows going down. On the photo frame on the right, I applied some Vellum Tape. Here's a closer look at the other photo frame. I used a black Sharpie to write in the bubble, and that's exactly how I like my name pronounced. Lol! I finished the whole page off with some hand-stitching around the border. 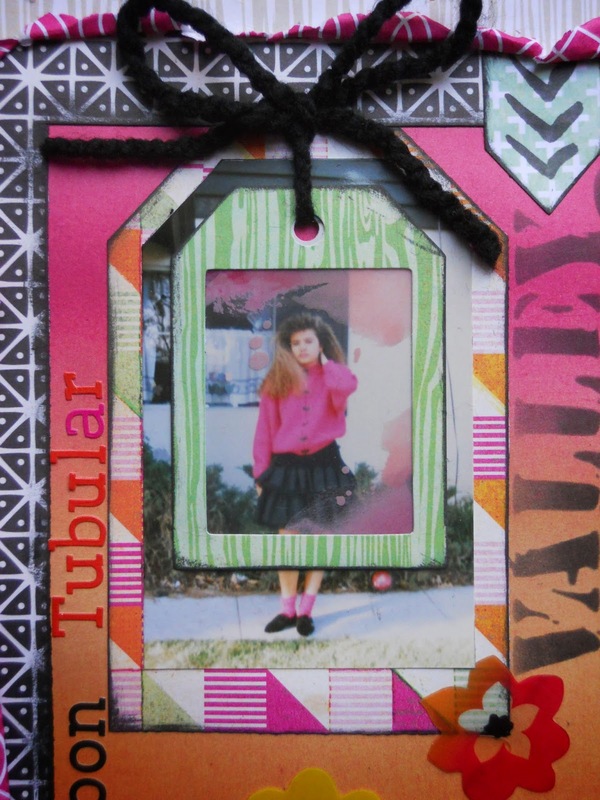 I love the bright colors and all the fun elements you added to this layout Drea!